2 tablets taken daily with food, or as professionally directed. Do not take if pregnant, planning a pregnancy, or breastfeeding. If you are under medical supervision, please consult a doctor before use. Antioxidants protect our bodies from the free-radicals we are exposed to in the environment and that are produced as a by-product of metabolism. Over time exposure to harmful free radicals can damage cellular health and may contribute to the aging process. 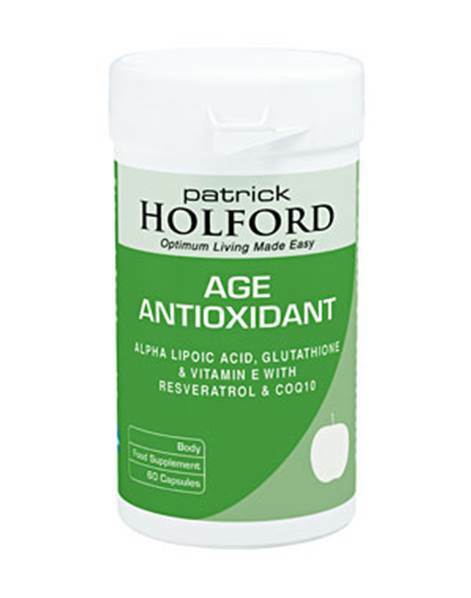 AGE Antioxidant contains a range of nutrients to help protect cells from the effects of excess free radicals including Beta Carotene and Resveratrol, which are potent natural antioxidants, and Glutathione, used by all cells to form a crucial antioxidant enzyme that helps protect cells and tissues from free radical damage. Other antioxidants provided include Selenium, Vitamin E, which is also a potent protector of the brain and other fatty membranes of cells, Lipoic Acid and Coenzyme Q10, which are used to protect cellular health and support mitochondrial function, the heart and other muscles. AGE Antioxidant is designed to be taken with Immune C.